If the Bahraini jihadi ideologue Turki al-Bin`ali personifies “the caliphate’s scholar-in-arms” for the Islamic State, one would find difficult to name a similar leading figure in al-Qa`ida’s ranks. Indeed, although most of the senior jihadi scholars sided with Ayman al-Zawahiri in his conflict with Abu Bakr al-Baghdadi, none of them actually belong to the organization. While the senior scholars certainly have longstanding ties to both al-Qa`ida’s leaders and rank and file and have been instrumental in furthering its agenda and that of its affiliates, they all remain independent from al-Zawahiri’s command. With that said, al-Qa`ida has long strived to promote religious scholars in its ranks, such as Abu Yahya al-Libi and `Atiyyatullah al-Libi, who proved to be major influences in the militant landscape and in jihadi sympathizers’ circles. However, a sustained U.S. drone strikes campaign in Pakistan’s tribal areas removed these well-known heavyweights. Over the remaining ideologues, the Palestinian Abu al-Walid al-Ghazi al-Ansari, also known as Abu al-Walid al-Filistini, represents the closest thing to a formal al-Qa`ida scholar today. Abu Muqawama has a great piece in the New Republic today. Given his very kind words for Will and myself, I am biased, but the article makes an extremely important point about the importance of virtual safe havens. Although I just posted and don’t really have the time to blog, I felt compelled to add a few thoughts. 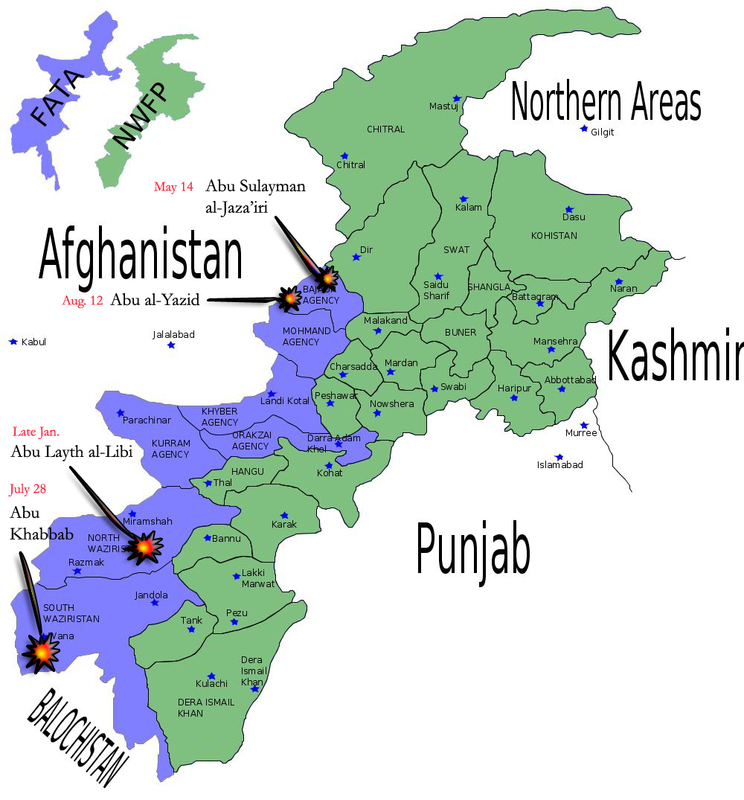 There are at least two more reasons why there ought to be a virtual dimension to the new AfPak strategy. First, the Pashto and Urdu-language part of the jihadi cyberspace is growing rapidly, and very few people are keeping track of it. Those who do rarely know the Arabic sites and vice-versa. No analyst I know has enough Arabic and Pashto to connect the dots (except Mustafa Abu al-Yazid). Second, the Internet infrastructure in Afghanistan and Pakistan is relatively poorly developed compared to the Arab world. This is very worrying, because it means that there is a huge untapped propaganda resource which will be exploited as the local infrastructure inevitably develops. This is unlike in much of the Arab world, where the Internet’s potential has been largely taken out by the local jihadi groups. We are seeing the signs of this trend in the spread, on the ground, of semi-virtual propaganda such as DVDs etc – see this brilliant ICG report for details. I couldn’t agree more. For several years people in Washington have been discussing public diplomacy in the misguided belief that it is somehow enough to tinker with the form and distribution techniques of “our message” to win the war of ideas. The elephant in the room (or in the Beltway) is that the war of ideas has to be waged on substance. In the meantime we can and should do things to limit the Internet’s effectiveness as a propaganda tool, but at the end of the day the Internet is just the messenger. Update: Tim Stevens has an excellent in-depth post on this topic and Abu Muqawama has added further remarks. Update 2: Tim reposted an extremely interesting DoD-sponsored study of safe havens relevant to the discussion. I should of course also mention Mike Innes’ book on safe havens – the only one on the subject as far as I know. His take on Abu Muqawama’s article is here (sorry for the delay). Issue 12 of the Tala’i` Khurasan (Vanguards of Khurasan) is out. Several big names have written pieces, including Atiyyat Allah (we have to learn from our mistakes), Abu al-Walid al-Ansari (how past jihads failed), Abu Yahya al-Libi (fighting to restore the Sharia is the only way forward in Palestine), and Mustafa Abu al-Yazid (the meaning of piety and patience). It also includes a 9/11 anniversary article on al-Qaeda’s strategic reasons for attacking the U.S., an article on Jihadis released from prison in Afghanistan, and a summary of the most important operations in Afghanistan over the last four months. This month we also have a new journal published by al-Shabaab, the AQ-linked group in Somalia. Marisa thinks its publication means Shabab is growing stronger; that may be, but they can’t produce an attractive journal yet. The name of the journal, Millat Ibrahim (The Religious Community of Abraham), is an allusion to a Qur’anic verse and a book by Abu Muhammad al-Maqdisi that have to do with shunning lukewarm Muslims. There’s even a blurb for Maqdisi’s book at the end of the periodical. Not surprisingly then, some of the content is devoted to exposing the evils of more compromising Somali opposition groups; for example, there’s a chart of differences between the Shabab and the Liberation Party of Somalia. Also of interest is a biography of slain Shabab leader Adam Ayro. Abu Sulayman al-`Utaybi that is. On May 11, al-Fajr Media Center (one of the main distribution points for AQ material) posted a statement on the forums by Mustafa Abu al-Yazid, a senior AQ leader in Afghanistan. Abu al-Yazid announced the death of al-`Utaybi, who was killed fighting U.S. forces in Paktia Province, Afghanistan. A sympathetic news source, Almoslim.net, says that he was probably killed on Saturday, May 10, when the Afghan government claimed that five people were killed fighting in Paktia Province. According to a May 12 statement by the Global Islamic Media Center (another important distribution organ), `Utaybi had been a Sharia judge for the Islamic State of Iraq, but had been dismissed from his post. According to Abu al-Yazid’s May 11 statement, `Utaybi left Iraq six months ago for Afghanistan. 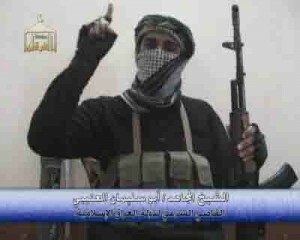 `Utaybi was a prominent militant in Iraq and you can find videos of him online, wagging the righteous finger (or, to use the Jihadi term, sabbabat al-tawhid–“the index finger of monotheism”). I’m curious as to why he was dismissed. That he headed straight for Afghanistan makes me wonder if this is a sign of things to come as AQ gets squeezed out of Iraq.